The bread was great; the movie, not so much. 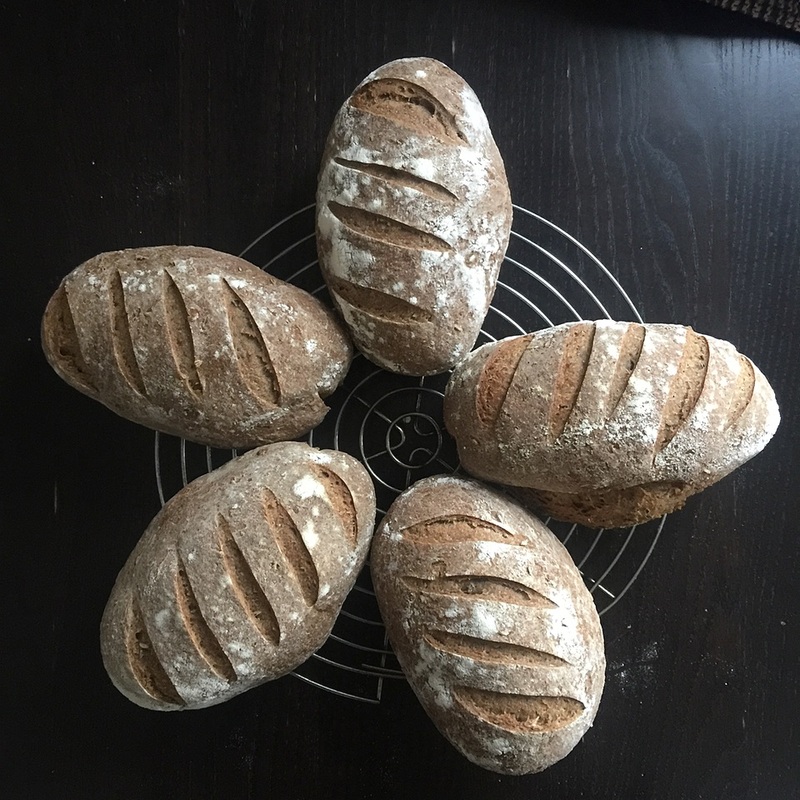 A couple of people with whom I have shared the recipe for black pepper rye have said that it is hard to turn the ingredients into a dough, despite the very clear tips in my write-up. So this week I thought, with 3.3kg of the dough to make, I would also make a video of how it comes together under my hands. I jury-rigged a support for the phone on the shelf about the counter, set the time-lapse video going and got to work. As I got stuck in, however, I forgot all about the camera, and of course my head kept getting in the way, so the resulting video is not quite as informative as I hoped it might be. Well, I’m not really after a load more followers, but what the heck. And the black pepper rye did turn out really well.